The Skinny On the OnePlus One Phone in Canada – How Much Does It Cost, and How Long Does it Take? I recently ordered and am looking forward to the OnePlus One phone, which has great reviews and can replace my semi-functional iPhone 5. The “hook” is that at $350 for a 64 GB model, the phone costs less than half the cost of a regular phone, and there’s no plan you need to be tied into. Sounds great, right? I’d like to think so. The pricing in Canada, though, is a bit more than the $350 price tag would lead you to believe. In Canada I purchased the phone at $350 base price. In addition there’s the shipping. With shipping there are two options, one at $28 and one at $37. The one at $28 doesn’t provide tracking and is not Canada Post, therefore, the only real option is the $37 one. That brings it up to $387. Then there’s payment through Paypal. Paypal in my case converted $387 as $462. Fine, though we’re already at more than $100 over. Lastly, there’s the inevitable duties I will need to pay for it which is over $50. That brings the phone to over $500! Also, there’s getting the necessary accessories such as the plastic screen protector, case, and backup charger, which amount to another $36. Live and learn I guess. Hopefully though this phone will last me a good couple of years so I can justify the investment. 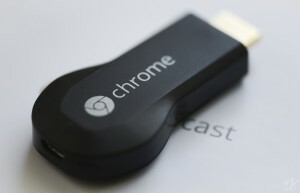 When Google came out with Chromecast in July 2013, many people likely did not know what to do with it. The whole idea seemed foreign: a cast a browser tab from Google Chrome and pay $40-50 for that. After receiving it as a gift recently, I’ve since been using it and found it to be indispensable. Here are the items you need in order to get the most benefit from this device. This one is obvious. Without it there’s no point to this post. In order to view the Chromecast, you need a TV with HDMI capabilities. HDMI as a technology came out in 2002-2003, and only really started being mainstream in TVs since 2008. While that doesn’t seem so long ago, if your TV doesn’t have HDMI it’s likely at least 7-8 years old. At the low cost of HDMI flat-screen TVs, this is a must. Even newer TV’s have a USB port. This isn’t necessary but is a huge help. Without the USB port, your Chromecast will need to be charged using an outlet, which can be a pain. The USB essentially “powers” the Chromecast while it’s doing its job. Once you have Chomecast set up on your TV, you need a device to “cast” it to. This can be done from a Mac/PC or a phone/tablet with iOS or Android utilizing WiFi capabilities. If you have a desktop that doesn’t have WiFi, it won’t work. Tried that. Alternatively if you’re a tech geek running Ubuntu with Chrome, it should work as Chrome apps like “Google Cast” should be installable regardless of the system. If you have a tablet that’s not running iOS or specific Android systems, it won’t work. This is a shame as high-end devices like the Kindle Fire don’t have the capacity to have Chromecast installed where it can properly integrate with apps like Google Cast and place the option in its own version of Netflix and YouTube. This is also a must for TV junkies. With Netflix/YouTube you can cast these videos from any tablet or phone. From a Mac/PC there are ways to cast a video straight from the Chrome Browser. For file types that are not MP4 or FLV there is an extension called “Videostream for Google Chromecast” which pretty much streams any filetype. While this is optional, if you want optimal viewing performance without hogging everyone else’s internet usage, invest in the Gigabit router over an ethernet router. Most Gigabit routers today are optimized for Netflix/YouTube streaming, though you should first check if this is specified. The WiFi difference between 54 MbPS and 300 MbPs is very significant. The high-speed option is for the same reason. If you can find an internet provider that offers competitive flat rates without overage charges, go with that. It’s worth it as you don’t need to pay “through the roof” for a quality internet experience. I have been using an iPhone 5 for the last two years and noticed apparent issues with it since I needed to get a bloated lithium-ion battery and screen replaced, among other things. For one thing, the sensor on the top wasn’t always working when I placed the phone to my ear, causing my cheek to dial numbers to my chagrin, as well as to the chagrin of the person on the other line. It also caused my cheek to do things like mute the conversation or put it on speaker. In addition, the charger would only charge if positioned a specific way. It was very inconvenient. To make matters worse, the phone was under Apple Care warranty for the first year, so they would have charged an arm and a leg being that I was past the first year. Since I am presently in my final year of a 3 year plan with Rogers, and Best Buy doesn’t have the deal for an iPhone under Rogers like it used to when an iPhone 5 64 GB could be had for $200 during X-mas/New Years, I found myself stuck with a defective iPhone for another year. Even if I were to trade in my iPhone 5 and pay the difference, I would still need to pay something like $160 for the remainder of my iPhone before I could get another one from Rogers (can one say #rogerssucks ?). What was there to do? I thought of Android phones, but most of them, especially Samsung devices, have relatively poor battery life and are flimsy unless you get an extended battery with a casing that makes it feel insanely thick. There had to be a better way. Enter the OnePlus. The new company from China has made a $350 USD Android phone with 64 GB storage (close to $500 CAD – bummer, but still) called the OnePlus One with oodles of features and great battery life by doing virtually no traditional advertising. Due to the overall positive reviews, I’ve wanted to get one for a while but to do so, you need an invite which can get very tricky. Once you get the invite, you have 24 hours to purchase the phone or else you need to start from the very beginning. I was recently lucky enough to get one invite after trolling the social media landscape (Twitter, Facebook, LinkedIN, Google+, you name it). Each person gets that one invite to distribute on an odd day (I’m still waiting for mine) and it’s treated like gold. So what was I to do? No matter what I did I couldn’t log in, even to submit a support ticket. After pulling out a few hairs, I contacted the Facebook/OnePlus community and was advised on the stupidest thing on the planet which actually worked. To “log in” you need to first select a country. How does one do so? Visit this page (https://oneplus.net/choose-country) while logged in. Once the country gets selected, the country “session” gets logged and allows you to proceed. I’m being serious here: without that you’re essentially a sitting duck! Now that that hurdle has been passed, I have now ordered my phone and am eagerly awaiting a phone in the mail that has all the great features of a top-notch smartphone at a fraction of the cost, and without being tied into any cellphone agreement. It appears that the website issue for OnePlus has been fixed. Before attending the seminar, it never crossed my mind that people would actually think the term ‘online reputation management’ was a thing of the past. My thoughts are completely the opposite. In fact, I felt privileged to write about it in this feature blog and express my concern. Online Reputation Management should be a priority for every business and individual with an online presence; I can’t stress that enough. Building a positive reputation can take years to achieve and that all can be washed away by one bad or false review that was not properly managed. The world of I.T. can be a challenging yet rewarding one. However, one of the biggest frustrations that comes with the territory is with clients that are completely computer illiterate. When trying to explain something over the phone the client on the other end might take what you say in a completely different context and hound you until the issue is fixed, sometimes for hours when in reality it should take a matter of minutes. That’s why in this field, comic relief is not suggested, but required. I found the following comics from a website called Panda Security, a global internet security company. I give them all the credit for the comics in this post. I have an iPhone 5 by Apple, and have used iPhones for the last few years. I recently had a problem where my iPhone 5 wasn’t charging using my cables. I immediately dismissed those cables as old and faulty, and looked for knock-off versions. Imagine to my chagrin that I still received an error that “This cable or accessory is not certified and may not work reliably with this iPhone.” Aargh! After looking high and low for a solution that would work, a friend of mine tried something so primitive that it worked. He took a small screwdriver and cleaned the small space on the bottom where the charger cable goes into. There was a surprisingly large amount of dust inside, preventing a proper charge from happening. After 15-20 seconds of cleaning the space out of dust, my phone was able to charge with any cable once again. 4. Do your thing, Yalla! Or just some kind of ubiquitous, global, everywhere-on-the-net kind of thing? EVER WONDERED WHERE & HOW BIG GOOGLE IS? The Dalles, Oregon – Google’s data center in the Dalles, Oregon sits on the banks of the Columbia River. Here their team members enjoy rafting, wind surfing, fishing and hiking. Council Bluffs, Iowa – Google’s Council Bluffs data center provides over 115,000 square feet of space. They make the best out of every inch, so we can use services like Search and YouTube in the most efficient way possible. Douglas County, Georgia – Thousands of feet of pipe line the inside of Google’s data centers. We paint them bright colors not only because it’s fun, but also to designate which one is which. The bright pink pipe in this photo transfers water from the row of chillers (the green units on the left) to a outside cooling tower. Douglas County, Georgia – Blue LEDs on this row of servers tell us everything is running smoothly. We use LEDs because they are energy efficient, long lasting and bright. The Dalles, Oregon – In an unoccupied area, motion sensors automatically switch off the main lighting to save power. The result is the dazzling glow of the world’s data filtered through multicolored LEDs. It’s like holiday lights year round. Mayes County, Oklahoma – A rare look behind the server aisle. Here hundreds of fans funnel hot air from the server racks into a cooling unit to be recirculated. The green lights are the server status LEDs reflecting from the front of Google’s servers. Council Bluffs, Iowa – Inside Google’s campus network room, routers and switches allow their data centers to talk to each other. The fiber optic networks connecting their sites can run at speeds that are more than 200,000 times faster than a typical home Internet connection. The fiber cables run along the yellow cable trays near the ceiling. Mayes County, Oklahoma – Each of Google’s server racks has four switches, connected by a different colored cable. They keep these colors the same throughout their data center so they know which one to replace in case of failure. Berkeley County, South Carolina – This is a closer view of the backup tapes in Google’s tape library. Each tape has a unique barcode so their robotic system can locate the right one. In case anything should happen to Google’s data, they have it all backed up. One of the places they back up information is in their tape library. Robotic arms (visible at the end of the aisle) assist in loading and unloading tapes when they need to access them. Berkeley County, South Carolina – Storage tanks like these can hold up to 240,000 gallons (900,000 liters) of water at any given time. This insulated tank holds water that they’ll send to the heart of the data center for colling.